Best North Georgia Lodging: Beechwood Inn features flawless décor that is comfortable and usable. Each spacious guestroom has a private bath, ceiling fan, fireplace and air conditioning. Every corner in the Inn is spotlessly clean and filled with eye catching and captivating features. If you are a foodie and travel with fork in hand, Beechwood Inn is your lodging and culinary Destination. 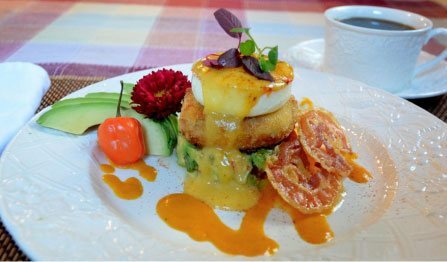 The Inn features the best of fresh and local foods for breakfast each day and at its Saturday Night Chef’s Table dinners. Do you enjoy wine? 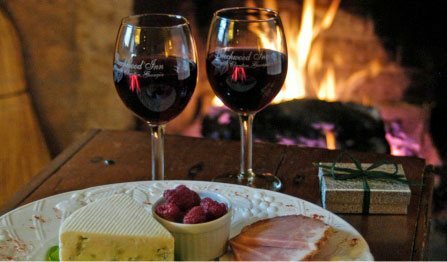 Beechwood Inn offers 200 varieties of wine from its cellar. The Innkeepers offer a daily manager’s reception dubbed “wine-thirty” featuring their own Beechwood Inn wines, made 100% from Georgia grown grapes. Would you like a private wine-tasting? 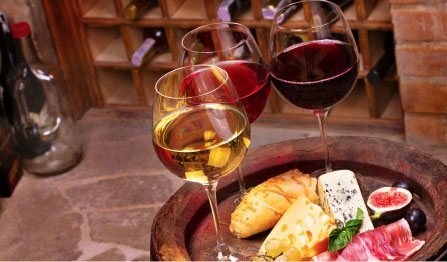 Innkeeper/sommelier David Darugh offers private wine tastings of wine from around the world. The inn offers luxury North Georgia Lodging and sits near the top of Beechwood Hill overlooking Clayton, Georgia. Guests are greeted by an enormous wrap-around porch offering tree top views of nearby Black Rock Mountain, one of Georgia’s highest peaks. Comfortable chaises beckon guests to slow down and relax with a glass of wine and enjoy the spectacular view. Acres of gardens and green-space surround the Inn, providing habitat for wildflowers, herbs, birds and other wildlife. The gardens include thousands of daffodils, orange daylilies and purple wild-iris that bloom in the spring and early summer. The innkeepers have added several culinary gardens filled with herbs, berries, vegetables and edible flowers. Feel free to nibble your way through the gardens. A ten-minute walk will take you to Clayton’s historic main street with antique and craft shops, art galleries, and several fine restaurants. 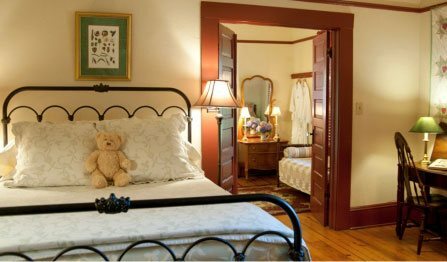 Best North Georgia Lodging – Beechwood Inn – The inn features flawless décor that is comfortable and usable. Each spacious guestroom has a private bath, ceiling fan, fireplace and air conditioning. Every corner in the Inn is spotlessly clean and filled with eye catching and captivating features. Beecfhwood Inn is a wonderful North Georgia Lodging Accomodation. From spring’s blossoms, to the booming summer mountain festivals, to fall’s colorful shadings and Foxfire events, to the holiday season when the mountains are decked out for Christmas, the North Georgia Mountains offer an ever-changing swirl of activities. Be sure to make Beechwood Inn your Best North Georgia Lodging – Beechwood Inn.